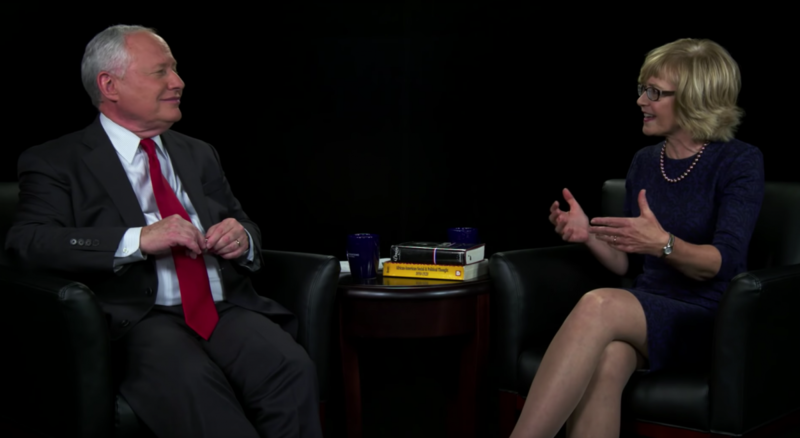 JMC fellow Diana Schaub joined JMC board member Bill Kristol on the latest episode of Conversations with Bill Kristol. Diana Schaub is a professor of political science at Loyola University Maryland and a leading interpreter of political philosophy and American political thought. In this Conversation, Schaub considers the life and ideas of the statesman and political thinker Frederick Douglass (c. 1818 – 1885). Schaub reflects on Douglass’s life, including his experience of slavery, his abolitionist politics, his work on behalf of the Union in the Civil War, and his post-war efforts to secure civil rights. Schaub demonstrates Douglass’s importance as a political thinker, pointing to his reflections on the corruptions of slavery, the meaning and requirements of freedom, the significance of the Declaration of Independence and the Constitution, and the role of prudence in politics.